The Lone Wolf Transglobal Expedition has successfully crossed the border into Pakistan, marking the completion of four months on the road during which the team’s Land Rover Wolf Defender, shod on Cooper tyres, has traversed a multitude of demanding terrain. The versatile Cooper Discoverer STT (Super Traction Tread) has carried the Lone Wolf team over thousands of miles of unpaved mud roads, snow covered mountain paths and desert dunes, as well as proving remarkably comfortable on western motorways. Having left the UK on 2 January, the Lone Wolf Transglobal Expedition aims to circumnavigate the globe in just 12 months. With the help of Cooper Tire, the eighth largest tyre maker in the world, the expedition will travel through 40 countries in a vehicle originally designed and built to the specifications of the famous explorer Sir Ranulph Fiennes. With a fully operational camera crew in tow to capture all the action for a ten-part documentary series, the team is quite literally relying on Cooper to keep the show on the road. Expedition captain, Daniel Moylan, continues to lead the team around some of the world’s most famous attractions, while chef Rowan Brown explores the gastronomic delights offered at each destination during their 12-month odyssey. The Discoverer STT combines Cooper’s unique Armor-Tek3 carcass construction technology with a computer designed, non-directional tread pattern to create a bold, aggressive tyre tough enough to conquer any terrain. Available from Cooper stockists throughout the UK, the Discoverer STT is available in 26 sizes, from 15-inch to 18-inch diameters, and comes in C, D and E load ratings. 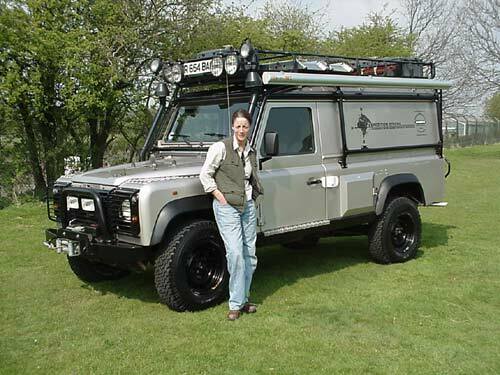 The vehicle that will take us on Expedition is one of the rarest Land Rovers around, a Land Rover Wolf Defender, designed and built especially for Sir Ranulph Fiennes' Transglobal Expedition, the vehicle has lain dormant since the cancellation of the original Expedition before 2000. Click here for the details of the Ranulph Fiennes Expedition. As you will see the Wolf is very special indeed. 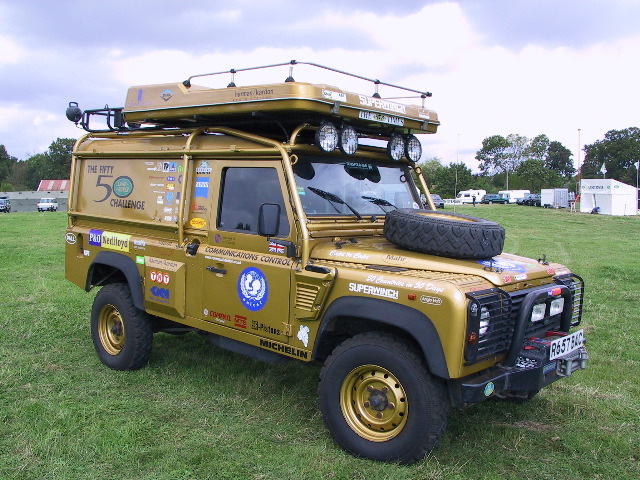 The Land Rover Global Challenge that it was originally built for was cancelled due to various problems. 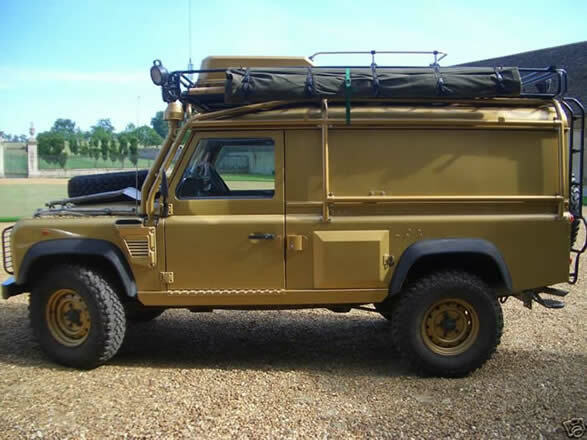 Making redundant some of the best overlanding vehicles ever built. This Wolf being the lowest one of only seven built. When I picked it up in October 2005, it had only covered 6000 miles since its release from Land Rovers storage facility in 2003. The Wolf has a number of modifications to the design that are unique to the military spec. These include a super strength "webbed" chassis, and a split charge 24 volt power system. These and many other special features will allow the vehicle to take on immense challenges without complaint. The simple 300Tdi engine is far easier to fix than any modern engine, and should we encounter major engine trouble, parts and experienced mechanics will be more readily available. ^^ From what I can tell there were, and possibly still are, seven of these vehicles in existence. The car pictured here is the vehicle which Land Rover used as a support car for the fifty50 challenge, an expedition to cover 50 countries in 50 days. ^^...Eventually the trip was halted by the various factors. 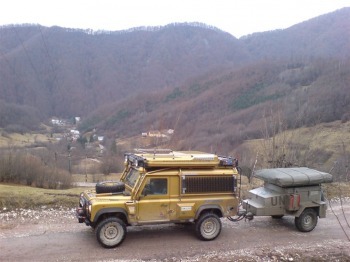 The vehicle was then donated for use clearing mines in Bosnia. 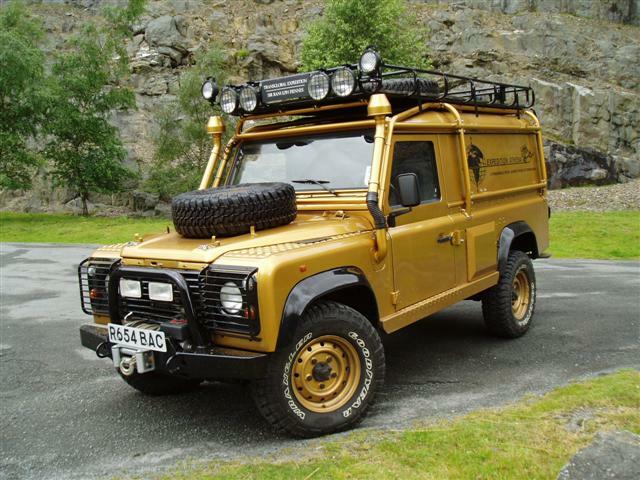 It was painted silver for the expedition, after concerns were raised over the Gold colour scheme. ^^ Here is the Kelly Shin vehicle after Mike Robson has had his way with it. Mike really does have an eye for detail! Note the Gold Rock Sliders & sparkling finish! I was contacted by the latest owner as he was searching around for information about the Wolves. ^^ The wolves are also formidable performers in the wet stuff too. 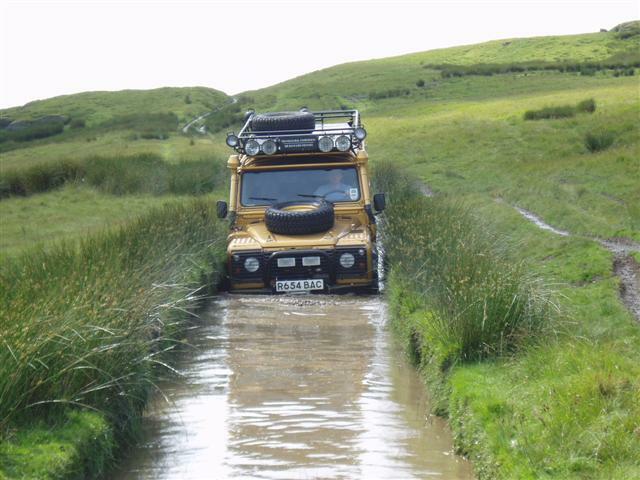 Our vehicle has a full wading kit with breathers extended high up on the roof. The twin snorkels prevent a backpressure effect which could affect fuel economy and performance.